Today, the country kicks off National School Choice Week, a time to champion educational freedom and choice in education. School choice options include public, private, and individualized options, from open enrollment and public charter schools, to tax credit scholarships and education savings accounts, to homeschooling. 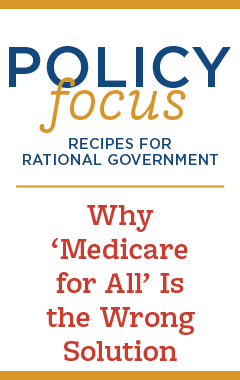 All of these options empower parents to choose educational options that suit their children best, instead of ceding that life-changing decision to politicians or bureaucrats who have never even met their children. 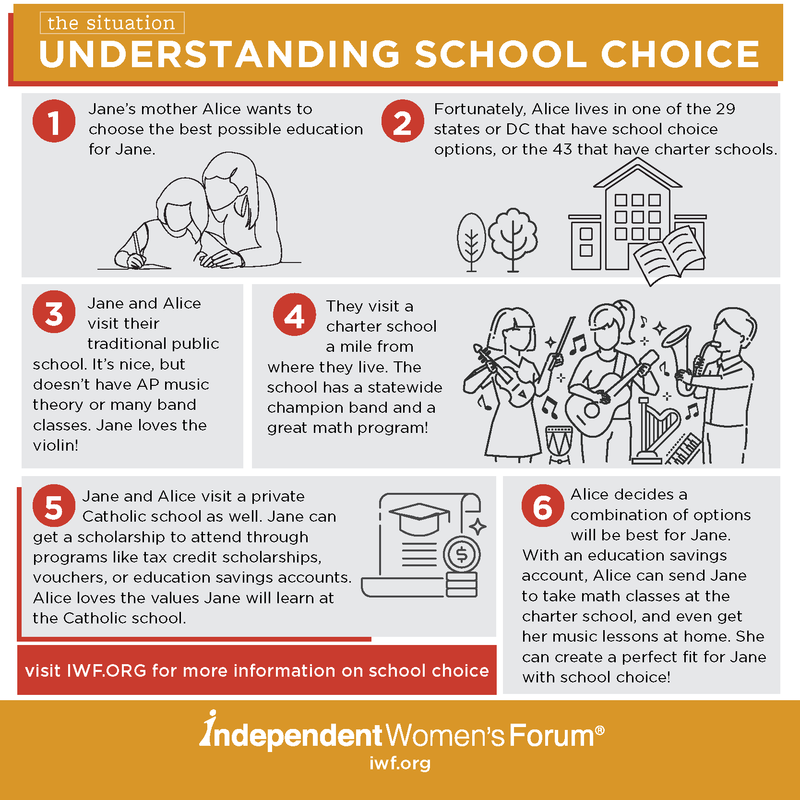 School choice has come a long way since the first charter and modern private school choice programs were passed in the early 1990s. Today, 43 states and the District of Columbia have charter school laws, and 63 private school choice programs flourish in 29 states and the District. The vast majority of studies on school choice programs have found that students improve on standardized tests, which are often the focus of politicians and education system reformers. But recently, more and more research has been backing what parents have always known – that standardized tests are very loosely, if at all, correlated with the later life outcomes that are so much more important. School choice doesn’t just tick up scores on fill-in-the-bubble tests, it changes students’ lives, engages families, and transforms communities. School choice students graduate high school and go on to college at higher rates. School choice families report that they are much more likely to be involved with their child’s education and to interact with their child’s school than at their previous assigned public school. In a feat would surely make headlines if it were any other government program, students in the voucher program in Milwaukee were a full 79 percent less likely to be convicted of a felony than their matched public school peers. Similarly shocking drops, 93 percent and 87 percent respectively, were found for drug crime and theft convictions. Those statistics represent many fewer victims of crime, and fewer families torn apart by incarceration. If the purpose of public investment in education in a republic like the United States is to ensure an educated citizenry – as Thomas Jefferson noted, “if a nation expects to be ignorant and free, in a state of civilization, it expects what never was and never will be” – school choice is making strides there too. Choice students show improvements vis-à-vis similar public school students on a wide variety of citizenship indicators, including civic knowledge, civic participation, volunteerism, and tolerance for the rights of others. As we take time this School Choice Week to look back on the movement’s successes, we should also look forward to how far we still have to go. Many choice programs are still quite small, and exclude students who do not meet strict eligibility requirements. School choice is absolutely a boon for those worst-served by the status quo, but all students can benefit from school choice, and from placing families back in the drivers’ seat of educational choices, where they belong.